Spirituality, Technology, Inspiration: Nightingale, Songbird for Linux is now back! Nightingale, Songbird for Linux is now back! Since May 2010 I've been missing my favorite music player in my Ubuntu Linux since Songbird left support for Linux showing the reason that songbird is more used by windows users than compared to Linux. There are so many alternatives for windows but for Linux there are few. 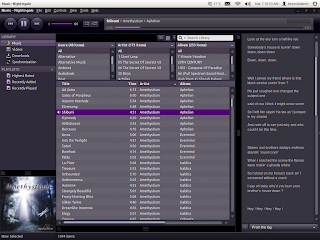 Since then, songbird for Linux i.e. nightingale is developed by http://getnightingale.com. And finally I'm able to use it in my Ubuntu from March 6, 2012. Nightingale is available for all three major platforms i.e. Linux, MAC & Windows. I don't care about windows but I care about Linux. You can find it's release notes here. You can download this application from here. 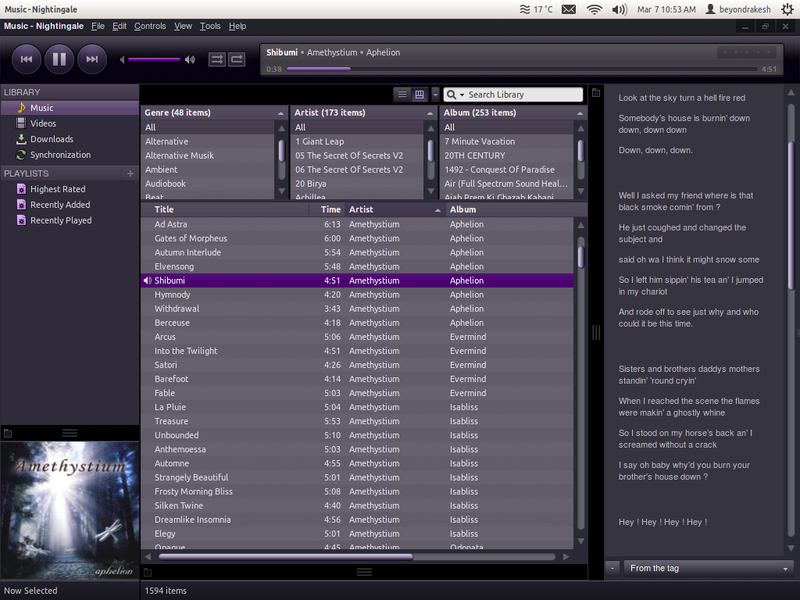 You can get a sneak preview of Nightingale running in my Ubuntu 11.10. One of its major feature is that it is backed by 'Gecko' i.e. what Mozilla Firefox uses to render webpages. Like songbird it has so many add-ons and feathers(i.e. theme). One of my favorite add-ons called 'mediaflow' is still in development. I love this add-on because it can display albums in iTunes like cover flow view. On the right side of the program it's displaying the Lyrics of the currently playing songs from the web. I love the user interface of it and the way I can customize it to my needs. So go and get your copy of Nightingale to see for yourself and don't worry it's 'open source' meaning you don't need to pay to use it.